State Bank of India is the largest bank in India that always provides cutting-edge services to their customers. 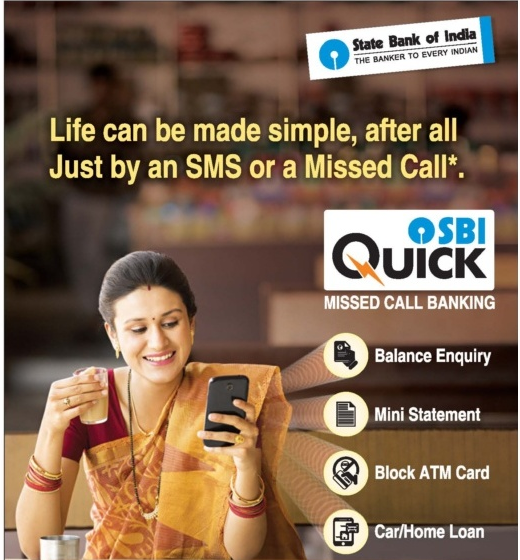 Recently State Bank of India had started Missed Call Banking service to their customers for quick and easy access to their bank account. 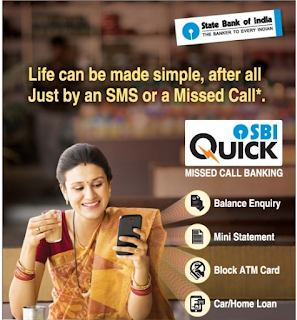 Below are some of the important services that State Bank of India customers can avail by simply giving a miss call or SMS to state bank of India numbers. SMS, REG [account number] to the number 09223488888 from your registered mobile number. Confirmation message will be received that will indicate whether your request is successfull/unsuccessfull. You can get last 5 transactions on details on your account. By calling State Bank Call Centre. SMS HOME or CAR to the number 09223588888. Note:- There might be some charges apply on above services. Please read below details for the same. For Missed Call, there is no charge. If you listen to IVR of 3 seconds which will be played after 4-5 rings, then you will be charged as per your mobile bill plan for 3 seconds.